I've been thinking about getting the forest tractor, since it looks like a nice little tractor set, and would go well with the new technic logging vehicle coming out this summer. 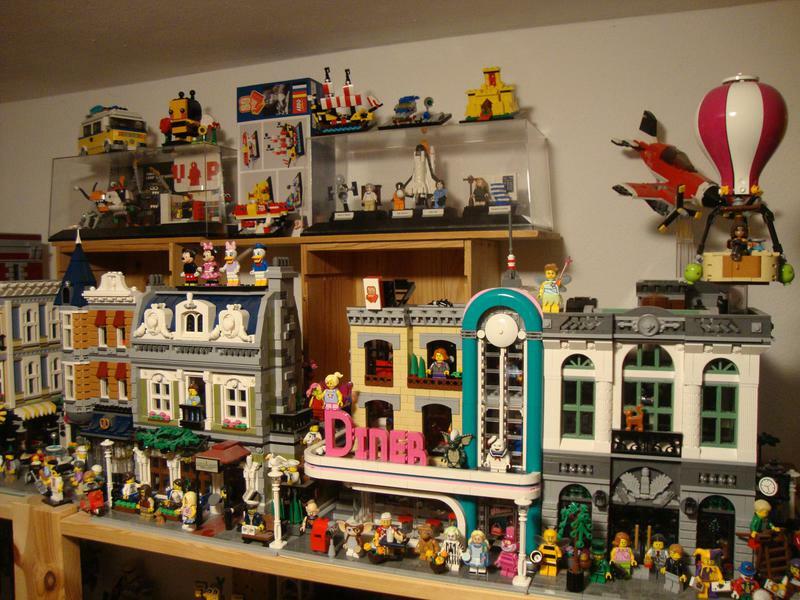 And the alternate builds for TLM movie sets would definitely look good going down the street of a modular building lined city street! @stlux great to build together with your nieces, I've got the ice cream van too and regret not picking up the other ones. 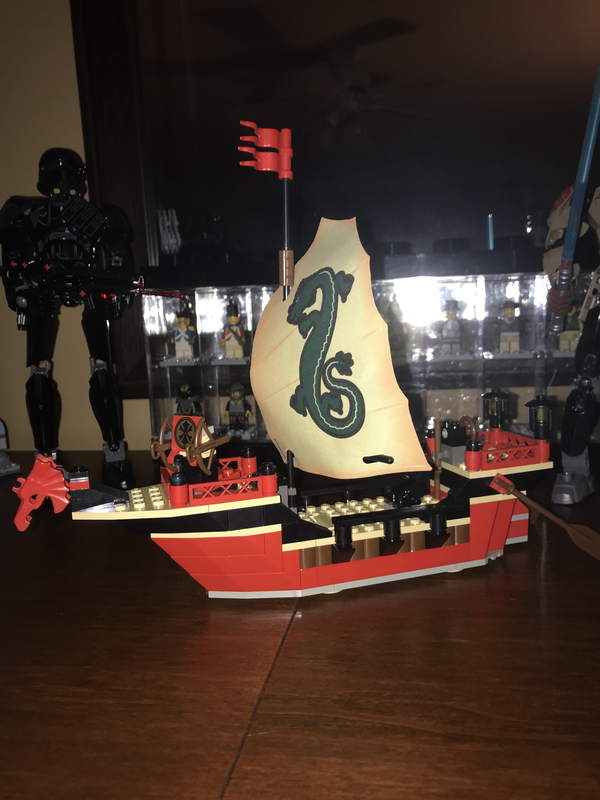 We got most TLM sets but for some reason those fell by the wayside (as did the ship). Speaking of ships (see what I did there?) 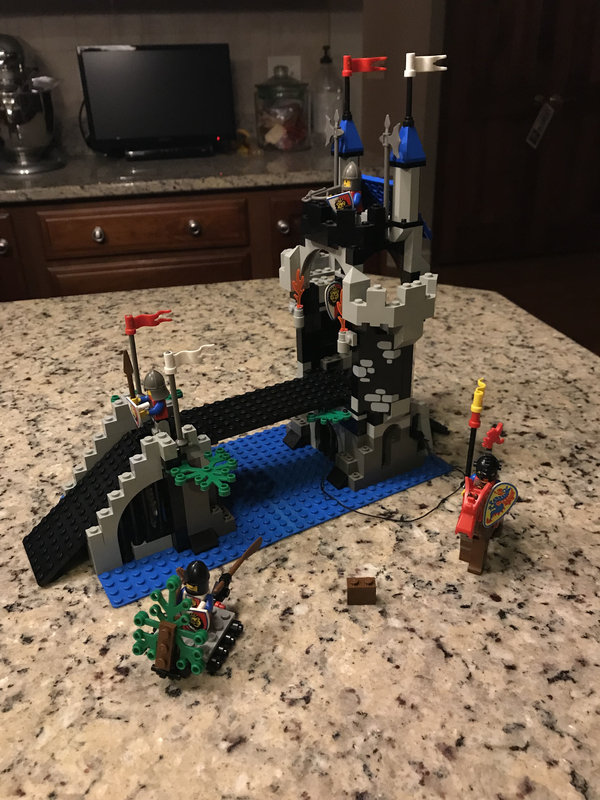 I just finished the Bounty. It's been a bad week health-wise but I've kept up with building a little bit each day to cheer me up. And it looks well good! I want to mod it so it says Terrace instead of Palace, but first I need to build it. 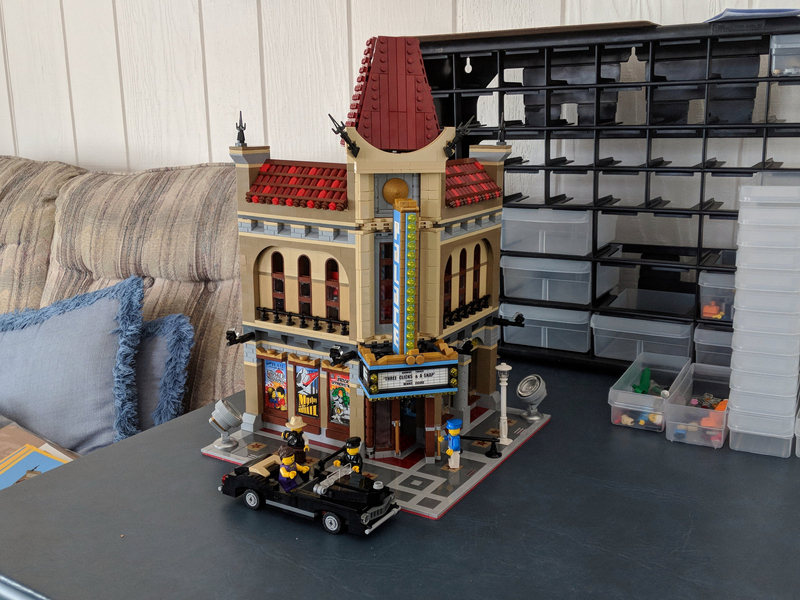 I have other modifications that I want to do in the future like make the Theater bigger and change the screen to a square instead of that crazy shape. I've just finished the Bounty today as well. 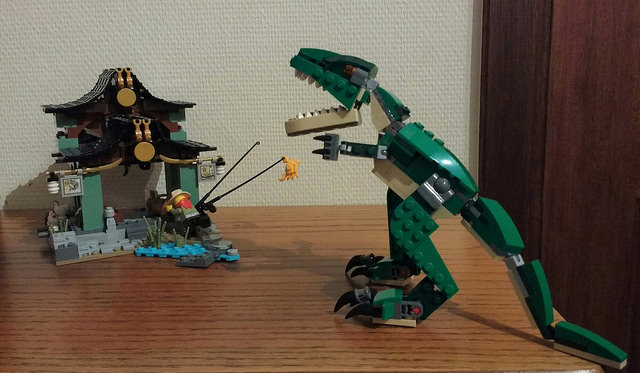 It was a fun build, but I can't help thinking how awesome it would be if I could pick up a second set cheaply. 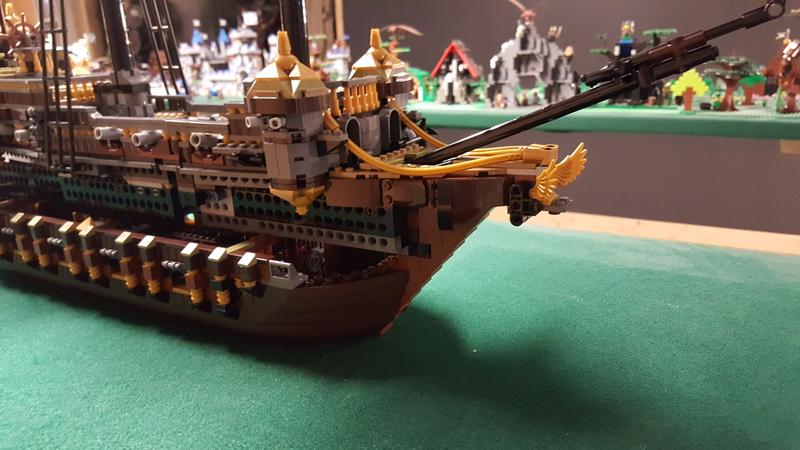 Two sets combined would make one amazing large ship. 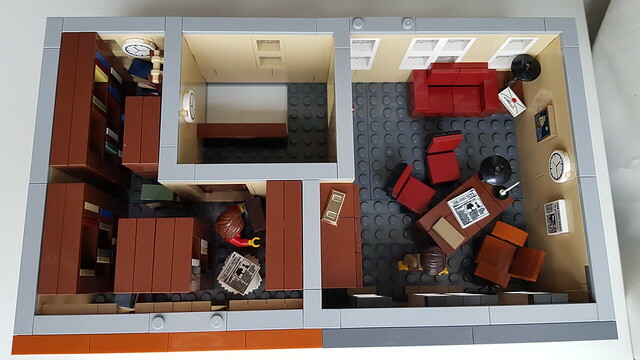 It just looks a little back end heavy to me and some of the rooms don't have much space. 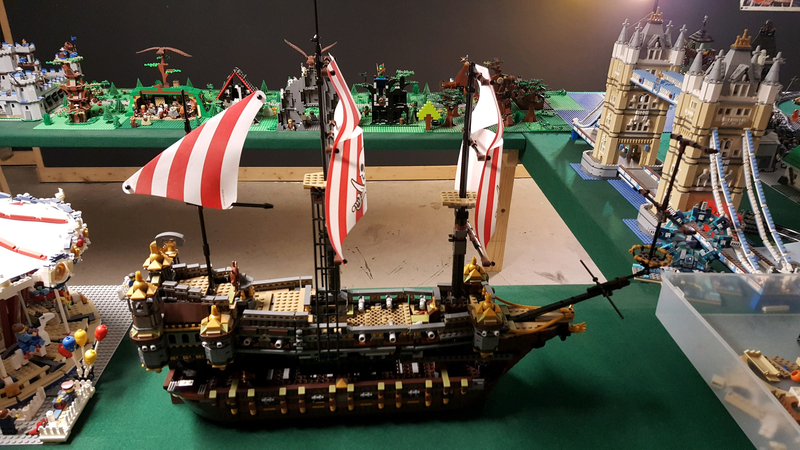 There is a stunning 1m long ship to be made from 2 sets. 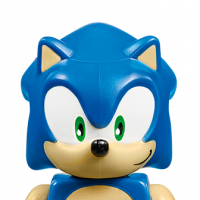 I bought mine very cheaply, £55, and am kicking myself now for not getting a second one at the time. ^ I'll just leave this here. Makes me want to buy two at full price. Now I'm gonna have to keep the two I have. Very cool. What did you do that for @BillyBricks84? Looks amazing. They don't need my help building sets that size ;) They just concentrated quietly on it for an hour. The 5 year old built the tractor and the 7 year old one the pizza van. Only thing I helped with were the stickers, and that's because I told them I wanted to put those on... Oh, and putting the rims in the tractor's tires, as that requires some force. Once we have moved, I'll put together #42070 6x6 All Terrain Tow Truck with them. Especially the 5 year old is eager, she even had it on her Christmas wishlist! Yes, that's the sort of thing I'd envisaged. Looks great. Reduced to £74.99 on Amazon today as well. A bit more than I wanted to pay for a second one, but very tempted. 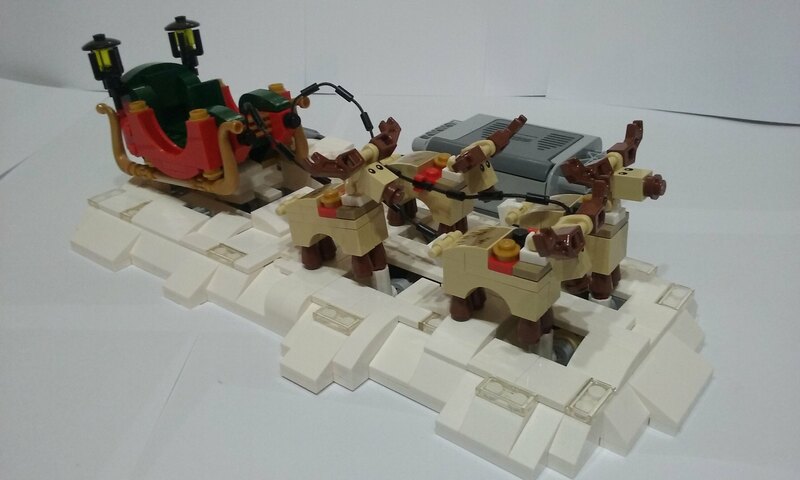 As I don't seem to be able to do just one build at a time, whilst on Bricklink I also purchased the parts to make JKBrickworks galloping reindeer. 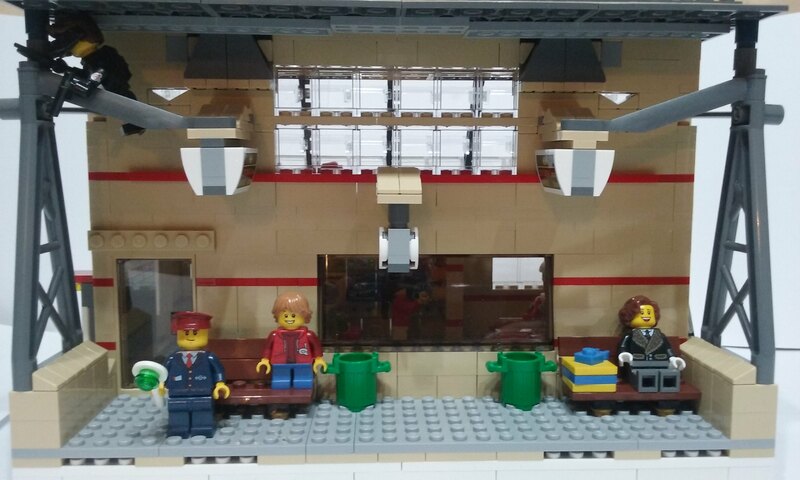 And also a few bits to modify my #60050 Train Station to fit it on a baseplate for easier storage and display as I got fed up with bits falling off the original when it was picked up after Christmas. The end result still has the main features of the original but I may have gotten a bit carried away with the rest of it. 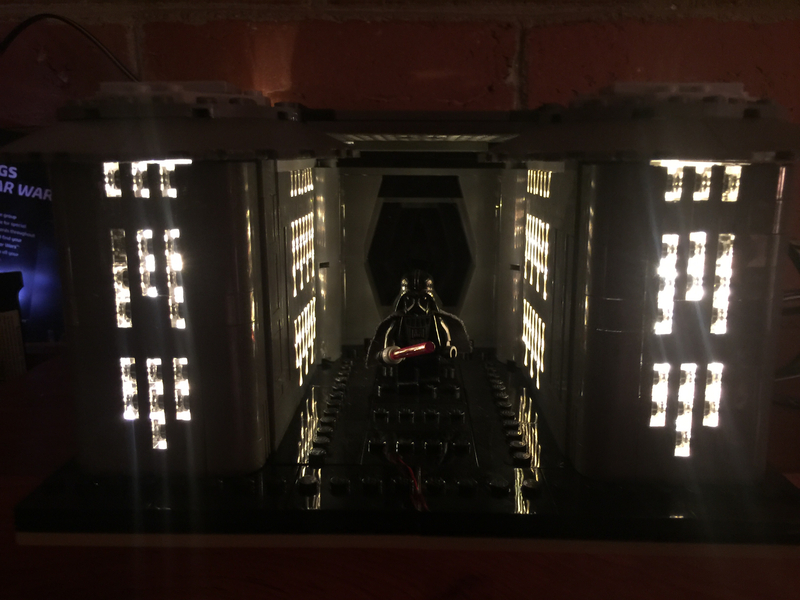 The build is mainly fairly basic stuff but it was fun to try and get the red pin stripe to always line up especially when incorporating the internal builds into the outside wall. 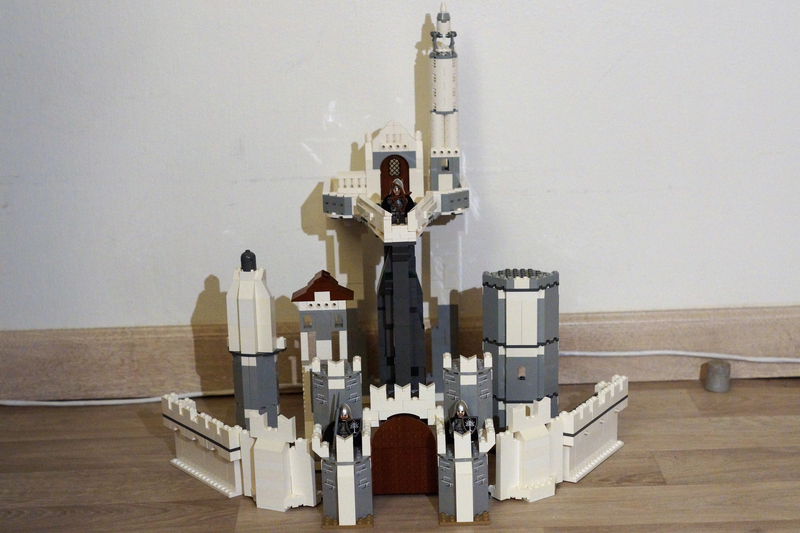 I am building a MOC of Minas Tirith (LOTR) at the moment... still a lot of work to do though, I need to add several white structures. Ha. 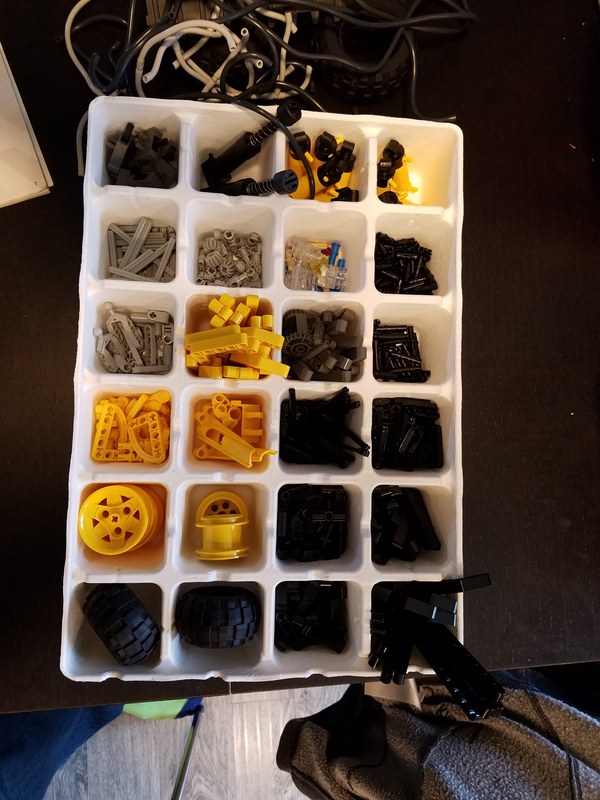 I guess I did it to make sure everyone blows their LEGO budget on Destiny's Bountys. 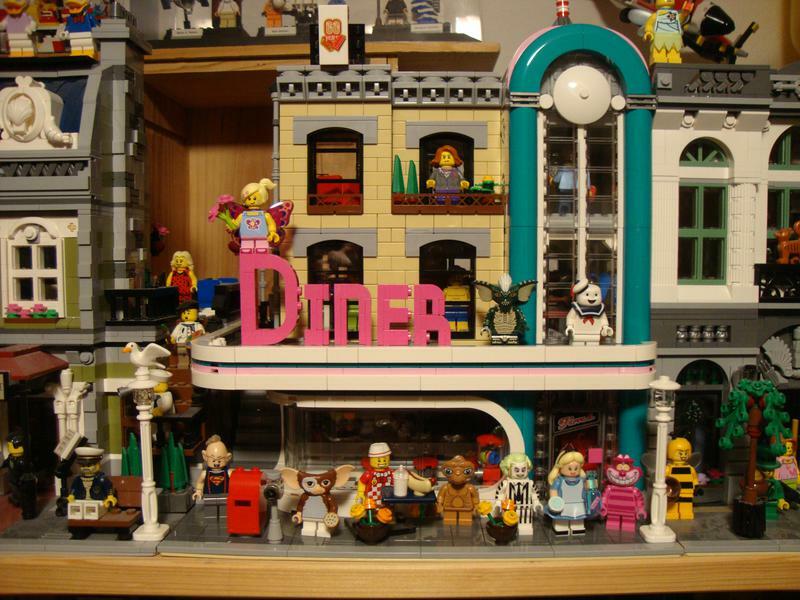 and the next build is going to be the Diner build. 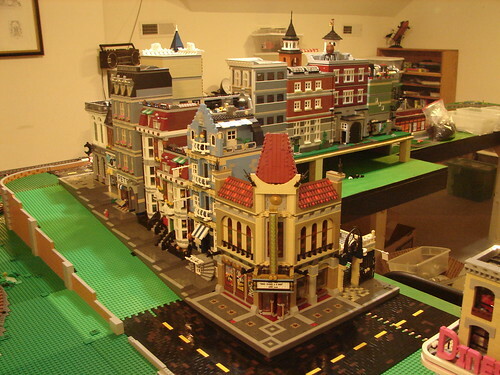 I'm in the process of make my own Lego City downstairs and in the future I plan on doing modifications. Pet Shop done. 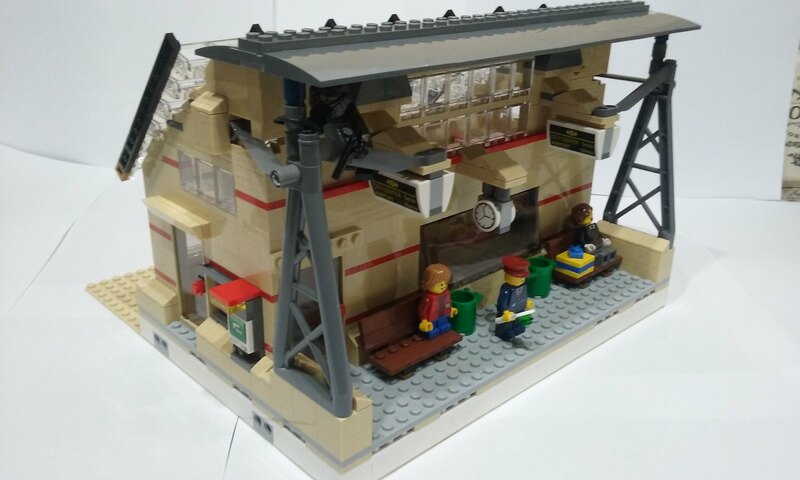 This was my first modular. 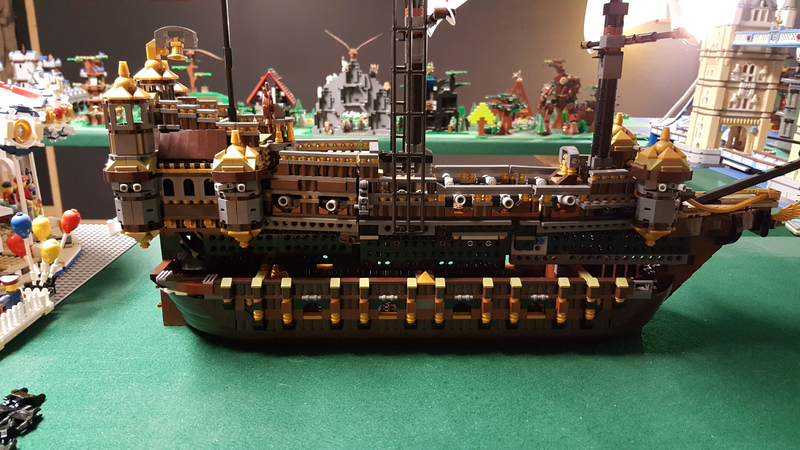 Really enjoyed building it. Lots of techniques that were new to me. Lovely details and nice to have something that is not a grey Star Wars spaceship. Had to do do a bit of back tracking a couple of times due to colour blindness + poor lighting + bad colours in instructions. 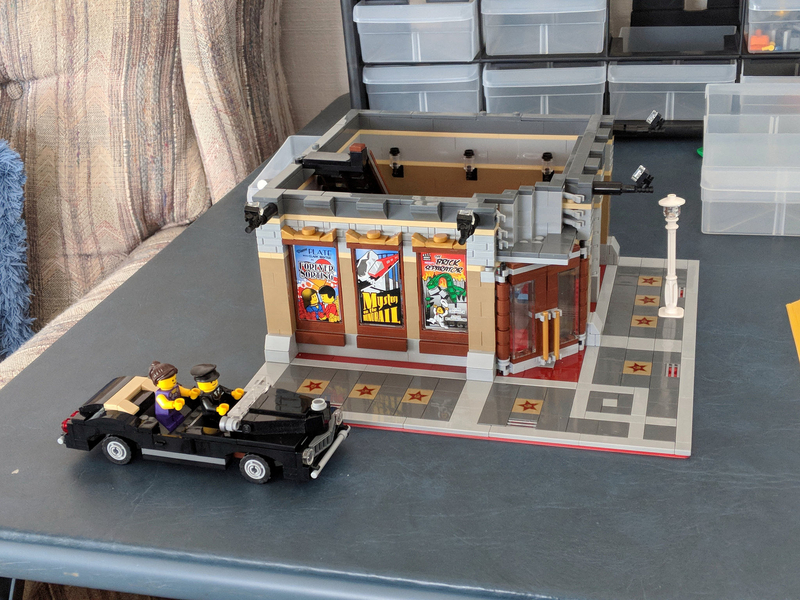 Where I had to extend my Modular street by 16 studs wide to fit Assembly Square on then by 16 studs deep when I added the Old Fishing Store I've been left with a 16x48 strip at the front of my build. Its had a few cars parked there and the Christmas trees sat there over the festive period, it was time to add something more permanent. 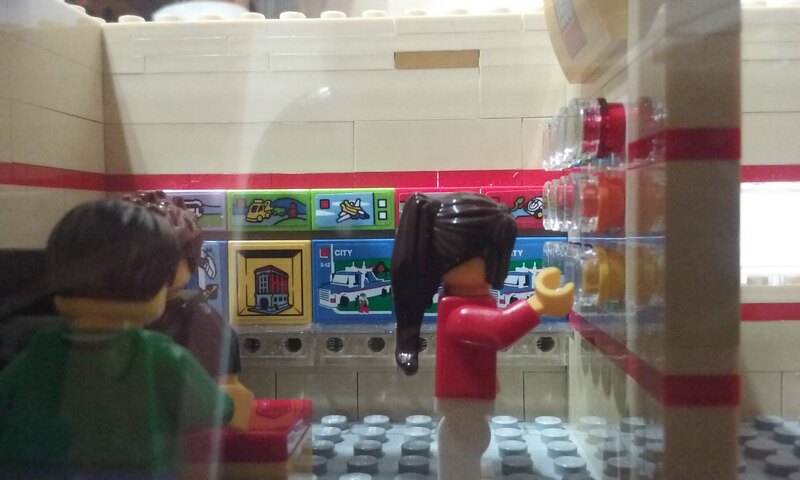 My Secret Santa was kind enough to bring my Ninjago City Chase for Christmas and when I saw it in the supermarket at 25% off I couldn't resist a second copy. 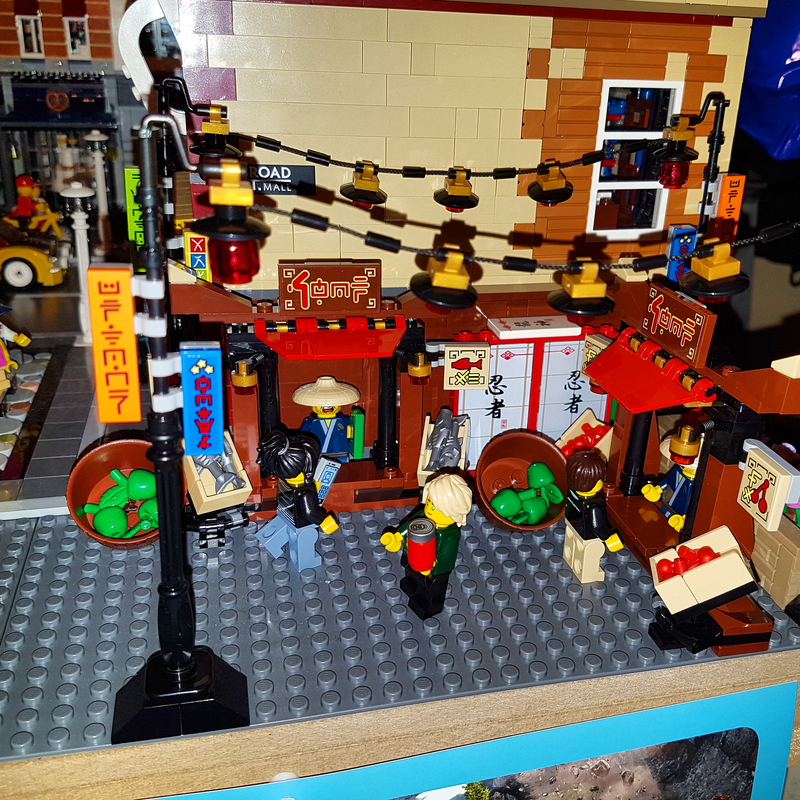 I still need to add a paved area and change some food and signs for variety, but I think my mini Chinatown looks quite cool. Yup good idea @Speedman29, I like it! Maybe just change the face/shirt on one of the sellers too. 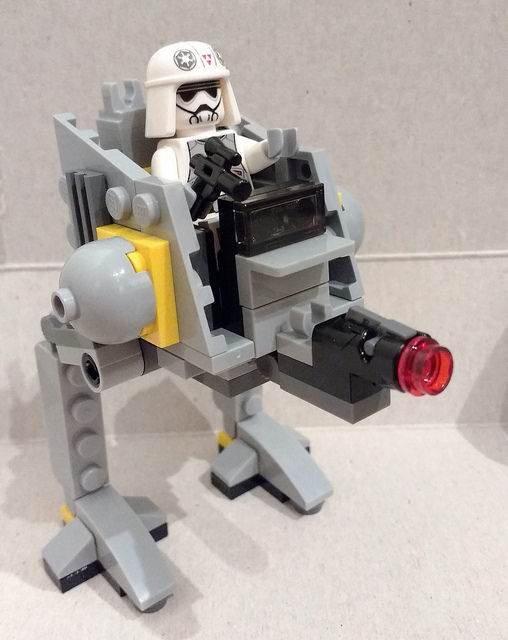 I've just made a quick little microfighter, I enjoy those little sets, they got bags of personality for something so little I find. 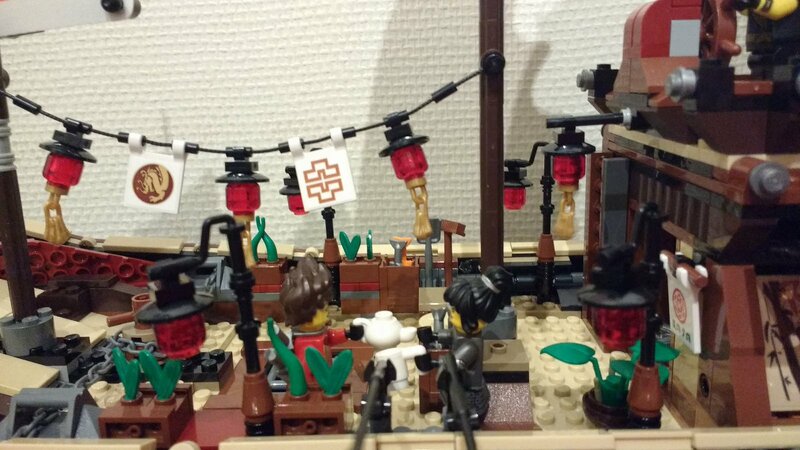 I have a couple of Ninjago minifigures laying round so things will get mixed up for variety! Love the Microfighters too, kicking myself for not buying the Y-Wing when it was on sale in Sainsburys, they've vanished from all the shops now and its left a hole in my display! 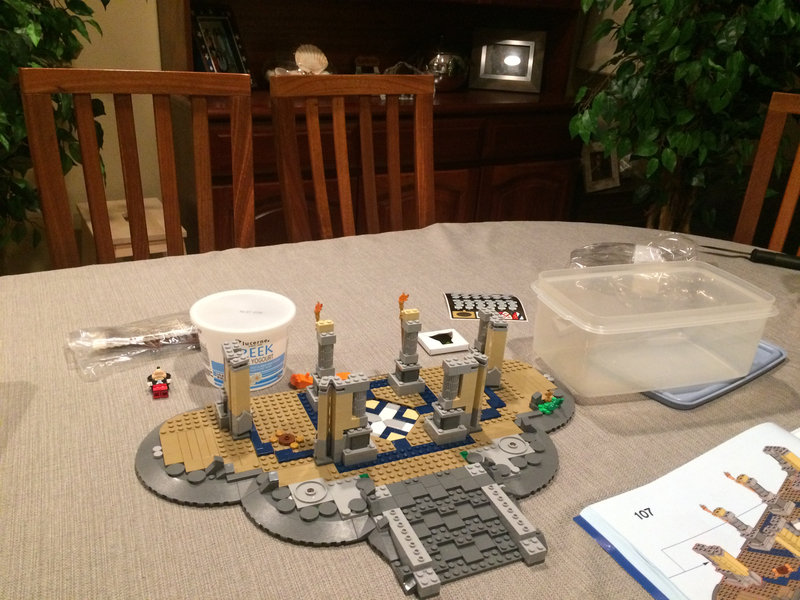 I am in the process of gathering parts for a rendition of Obi-Wan's blue interceptor in the form of 75038. Any suggestions on possible creative liberties? 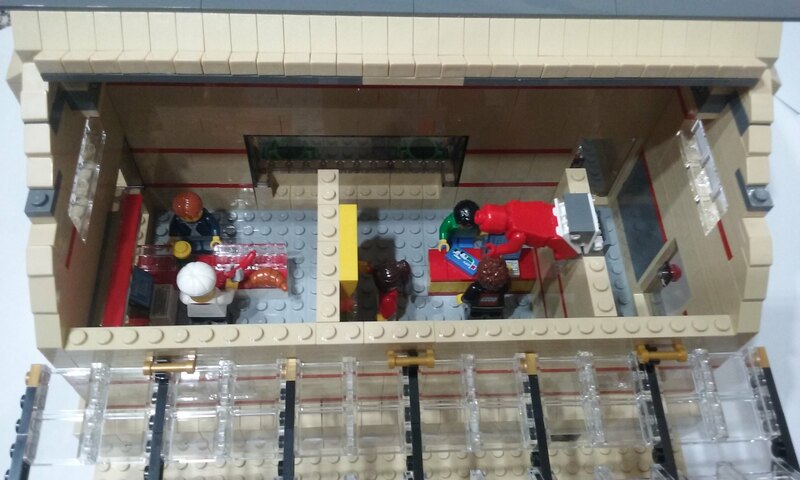 Now that our club show is over, it's time to get back to work on the layout. I've got 3 weeks! The track changes are complete. The wall you see behind the train yard will be an elevated street with road ramping up to the right of the curve. 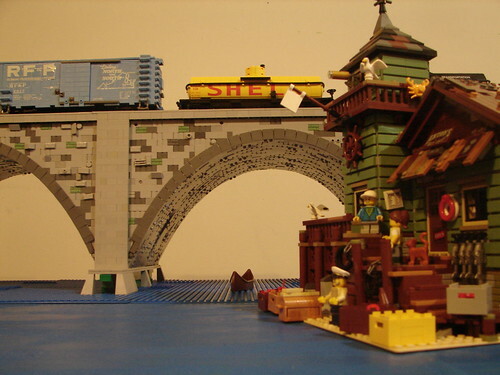 In the background is the stone arch bridge. I've been mulling over the design of it for a while and it's coming together nicely but is really chewing up my parts supplies! 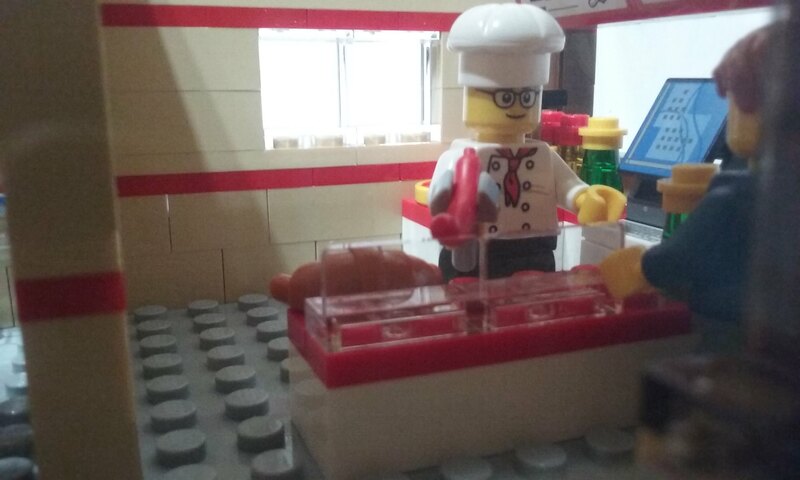 Need to go make some more Bricklink orders. 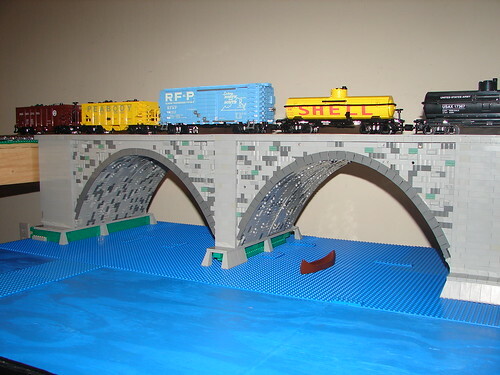 I'll sure the purists may howl as the real bridge is a piece of 3/4 plywood as you can see here. 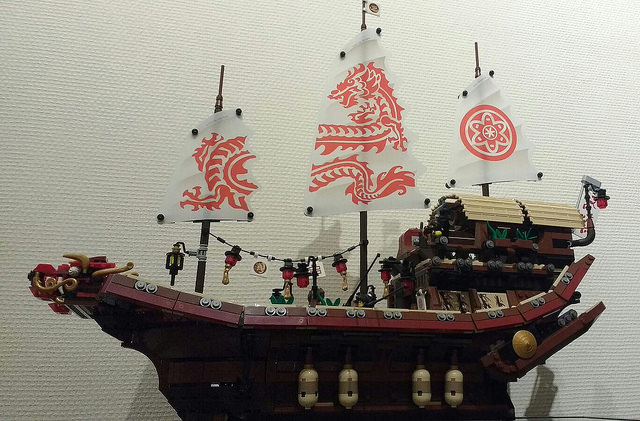 The Lego is just decoration. The arch is actually pretty sturdy but I'm not going to give it the "milk jug" test. Loving the layout @ecmo47 oh to have that much space to spread out! 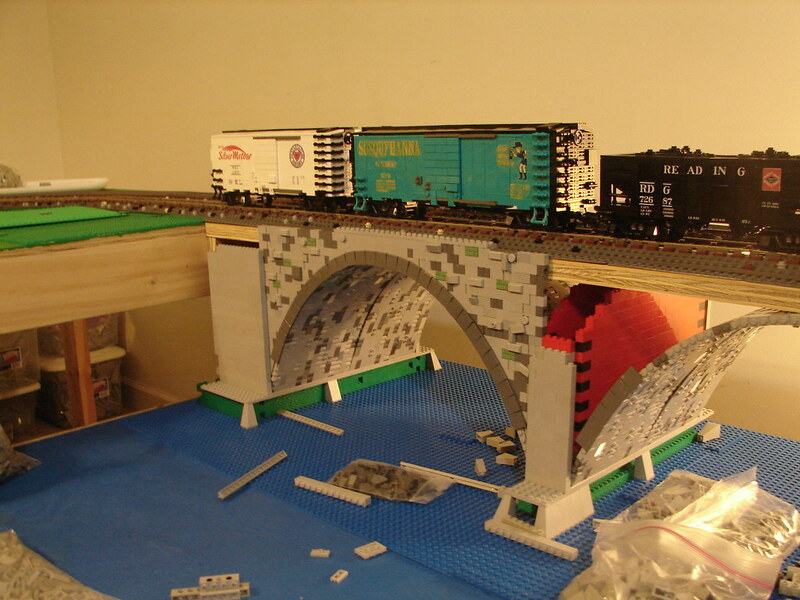 Reinforcing the bridge is the sensible route I'd say, its looking amazing so far. Just finished an all time favorite of mine. 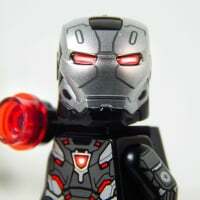 This will be my first Technic build and one I'm really excited about! I have the Ferrari F1 Racer 1:10 #8386 waiting for me once this one is complete too. 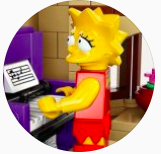 @Switchfoot55 - You have picked an absolute winner of a set for your first technic build. The amount of pneumatic functionality packed into this small set is nothing short of amazing. 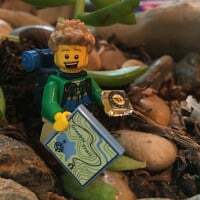 After buying and building sets 31052 Vacation Getaways, 60117 Van & Caravan, 60182 Pick Up Truck Caravan Camper and 31079 Surfer Van my son wanted to continue the RV and camping theme. 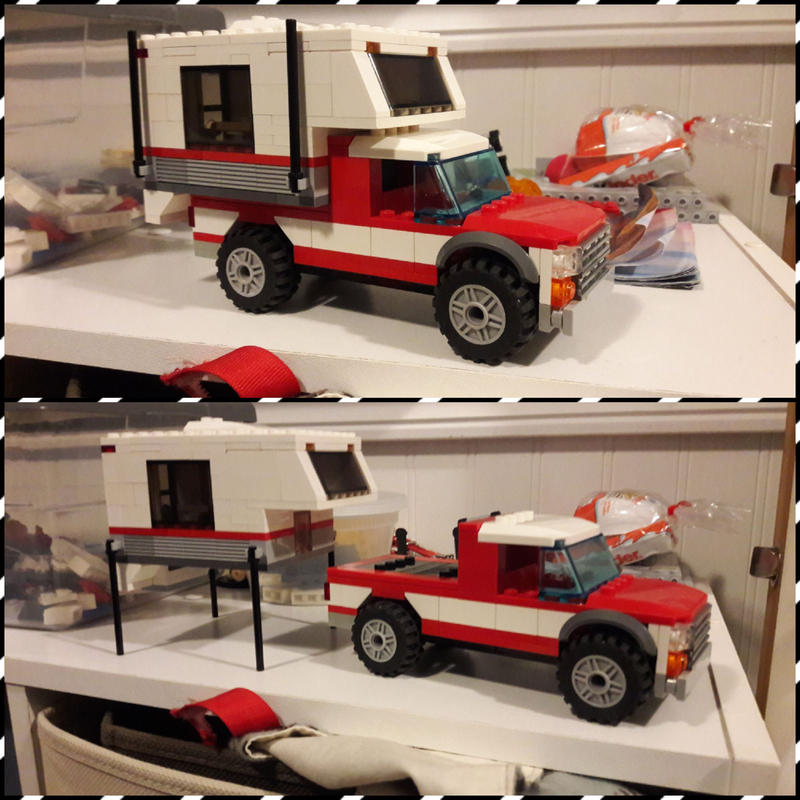 So, we built him a truck and camper. 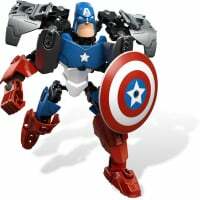 ^I've always been curious about technic sets. 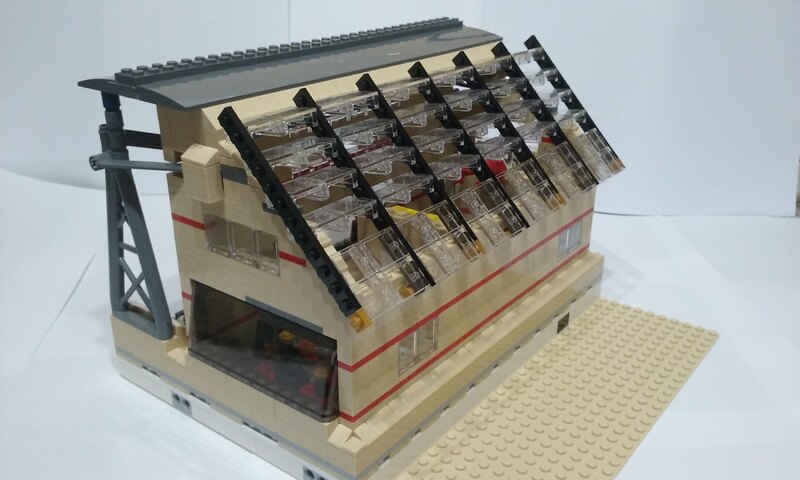 For me, the building process is what it's all about in Lego, and technic has always seemed to offer even more in the way of building. However, I'm cheap at heart, and have had a difficult time spending the cash to test the waters. 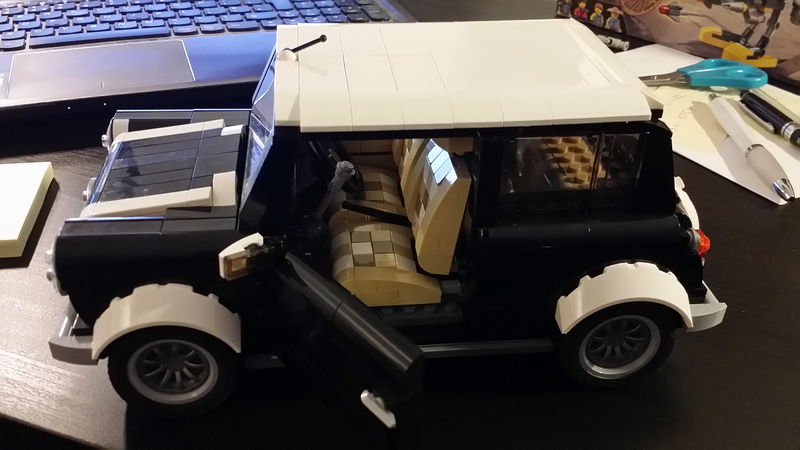 I found this and the Ferrari set for what I felt was a great price and finally jumped in. They were both fully assembled when I bought them, so I got to play around with the features before disassembly. All I can say is WOW! I'm about 1/5th into the actual building and have to say I love it so far! It's a new and unique challenge for me. Can't wait to finish it up and see it finally shine without all the dust weighing it down! 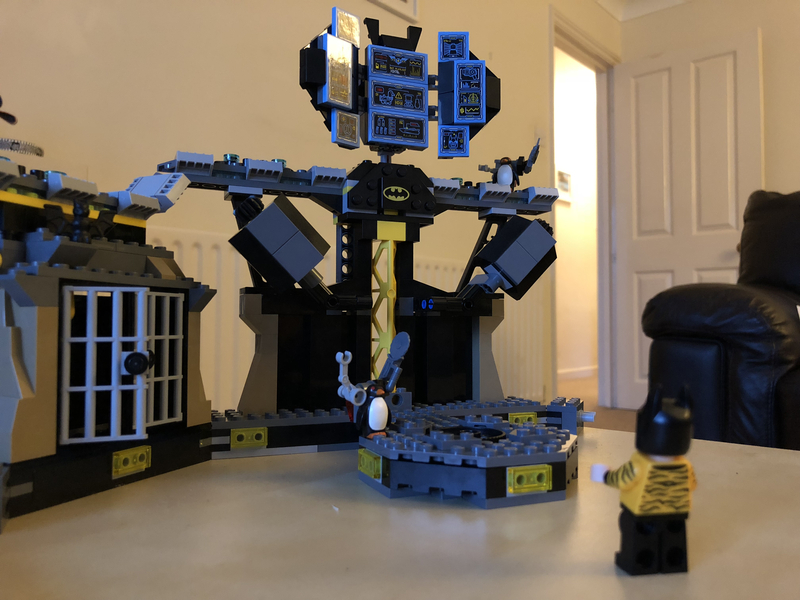 Batman is overseeing the penguin construction team! 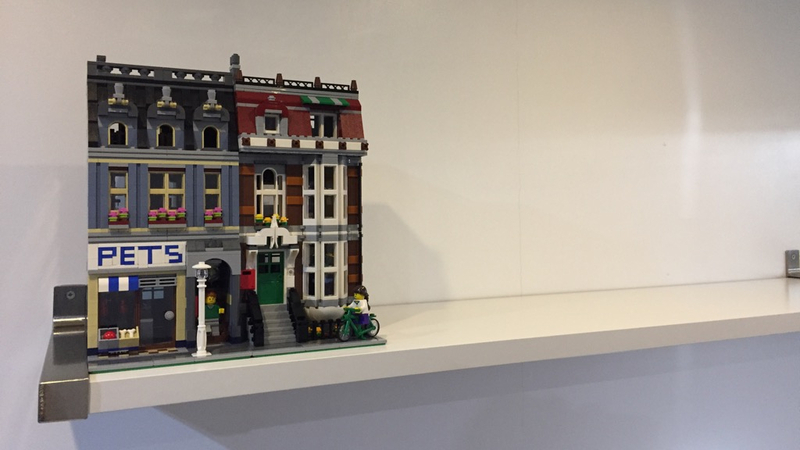 Members of Brickish, the UK-wide Lego User Group, are doing a collaborative modular street this year. 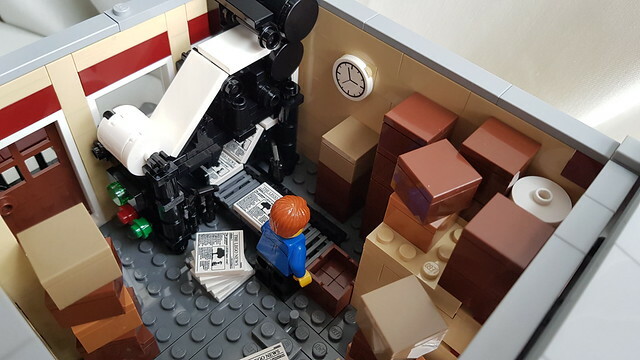 Today I got the last few pieces to finish my contribution, a Modular Newspaper Office, so I thought I'd share a few photos. The main idea was to make it look like two adjacent buildings had been taken over by the Newspaper. There's more photos in my Flickr Album. That's just... amazing. 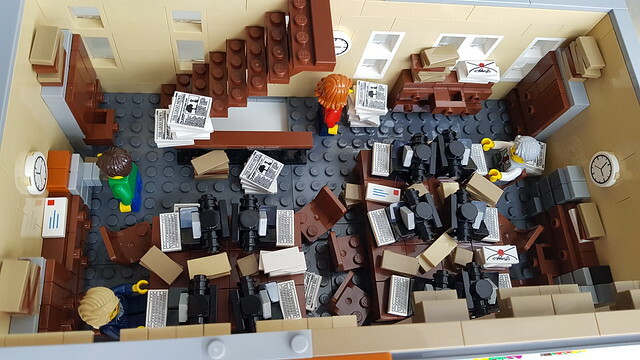 Great build, congratulations. 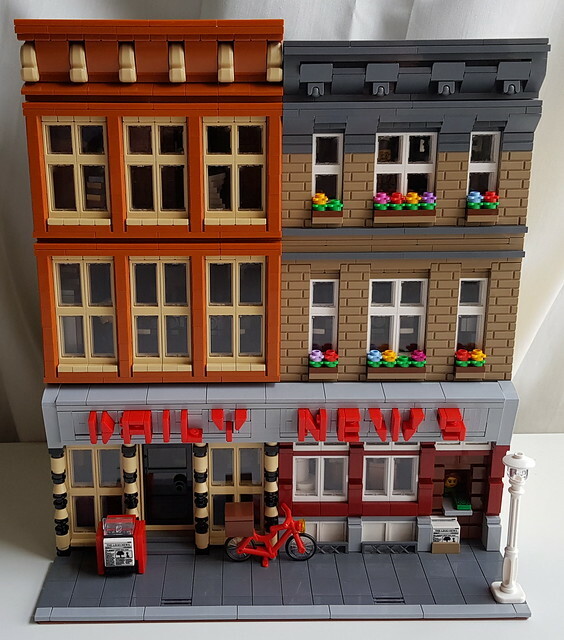 Easily a day one modular buy right there! 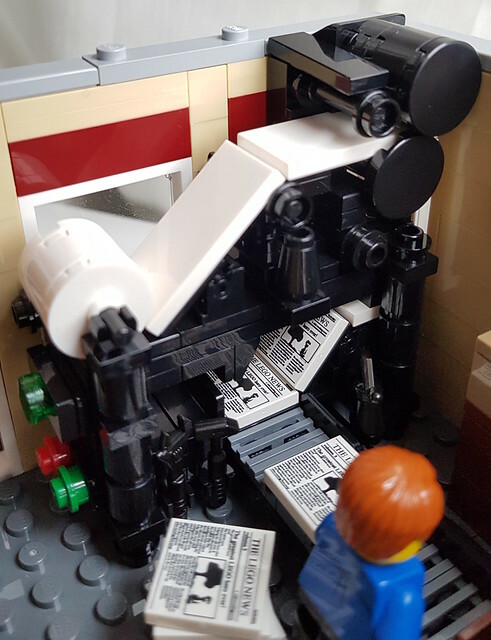 I will always love that printing press build! 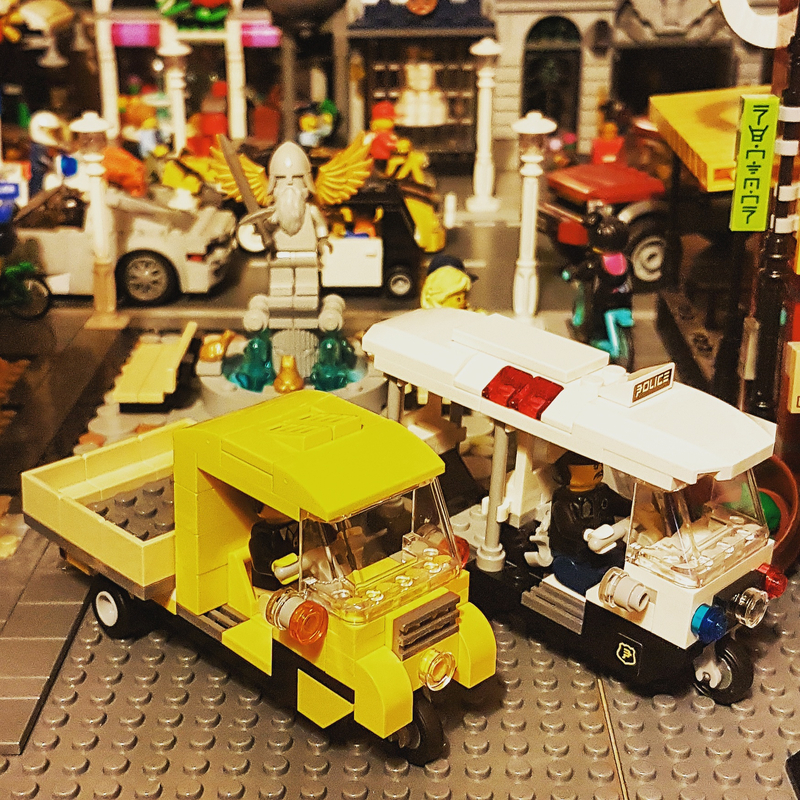 After buying a second Ninjago City Chase to make a mini Chinatown, I was left with an extra 3-wheeler. 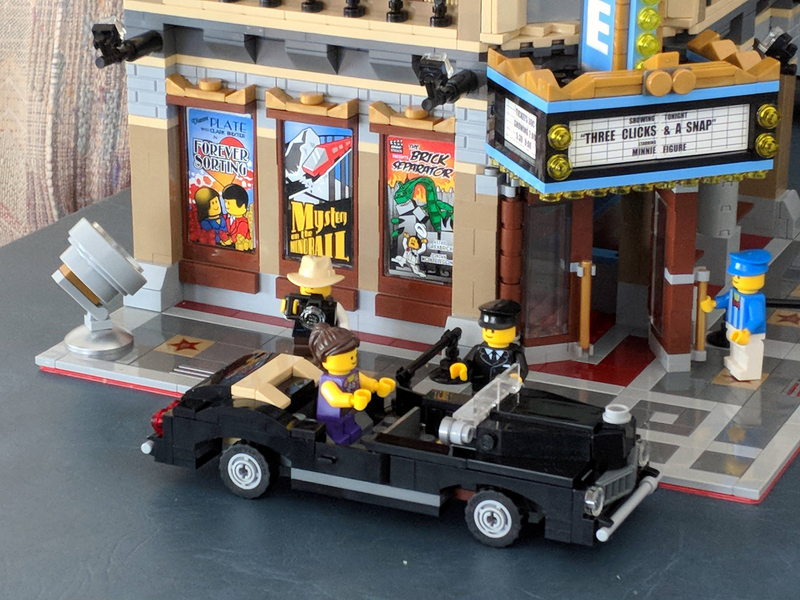 I didn't want another police version so made this delivery one using some yellow pieces I had in my stash. @Switchfoot55 I'm also partial to #8862. I think it was the original backhoe excavator. It was a pretty awesome build in it's day. ^It has certainly been a good challenge thus far. 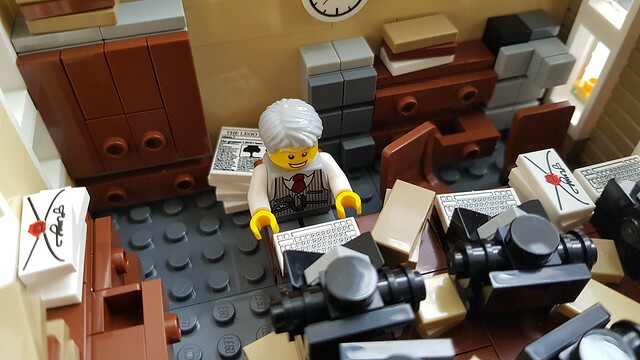 My schedule is only allowing small windows of build time currently, so I'm enjoyed a prolonged building process! 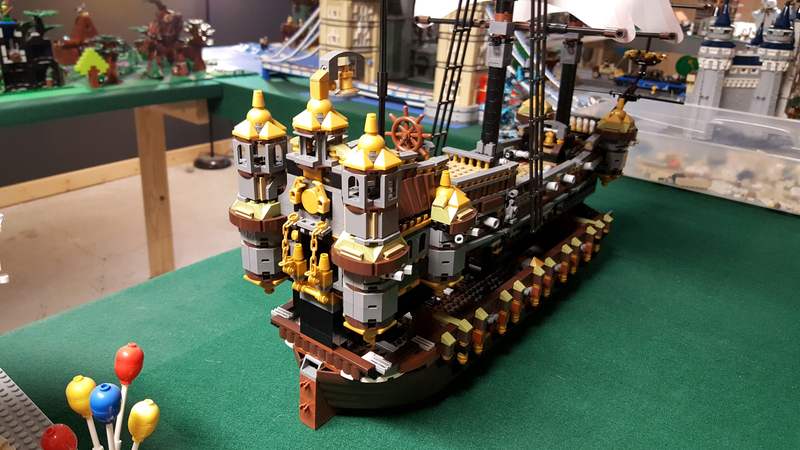 Here is MY Silent Mary and Imperial Flagship hybrid I've been working on. The sails you see in the pics are from TBB, and NOT the ones the final ship will receive. 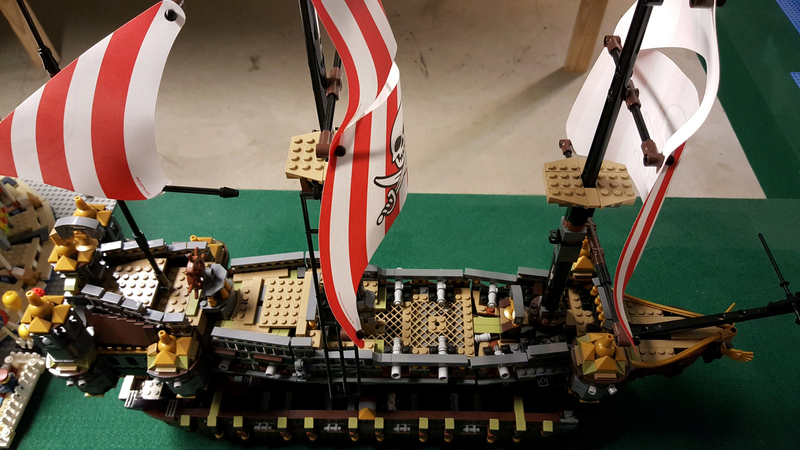 They are the same size though, so I used them to design the masts. 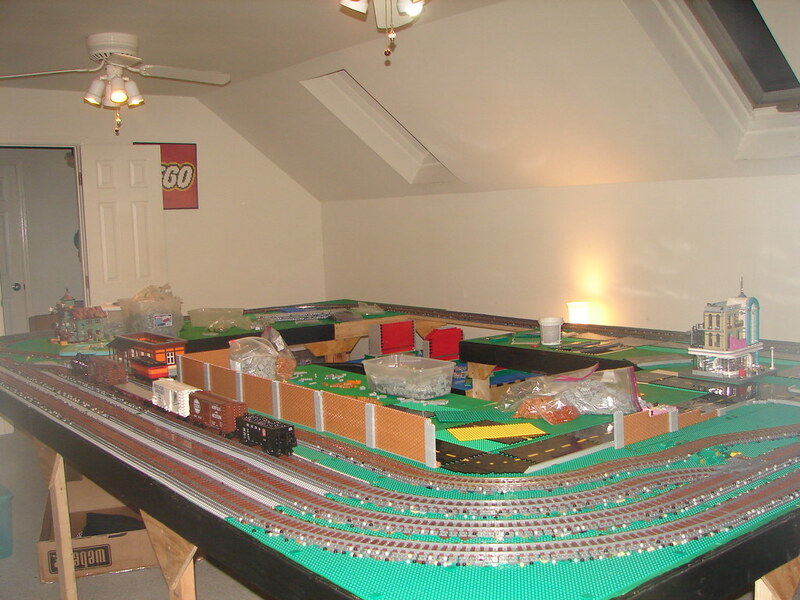 Work continues on the layout. The bridge is pretty much done. Just wanting for that last batch of parts arrive to finish the base. I also finished the slope up to the elevated street. The stepped building turned out pretty nice too. Lots to do yet. Finish placing the rest of the buildings, monorail, fairground, trees, citizens, Easter egg hunt. Two weeks to go is plenty of time right? @ecmo47 I'm not convinced that medium blue one is really a modular but it still looks good in my book. Love the sloped road and would really like to see more photos showing how you did it. Just finished another favorite classic of mine.